*Several familiar talk voices are missing in MASSACHUSETTS: Greater Media's WTKK (96.9 Boston) decided not to renew the contract of its evening talk host, Michelle McPhee. While McPhee said she'd work out the rest of her current contract through the end of the year, WTKK instead pulled her off the air. "We will be announcing a new weeknight show in the near future," says the WTKK website, which is listing "TBD" in McPhee's former 6-10 PM slot for now. Meanwhile, WTKK weekend host Jimmy Myers is also off the air. The veteran sports talker says "96.9 Boston Talks" wanted to shift him from salaried employee to a leased-time arrangement under which Myers would pay $500 an hour for his airtime and then sell his own spots to sponsors, a deal that didn't interest Myers. Over at Clear Channel, "Cadillac Jack" McCartney has decided not to stay in Boston after all. After splitting his time between programming WJMN and WXKS-FM in Boston and WWPR in New York, he's now been named fulltime PD for "Power 105.1" in New York. But wait - there's an even bigger programming opening now at the Medford studios, where PD Chris Tyler is being shifted down I-95 to become operations manager/PD for Clear Channel's Providence cluster. On the North Shore, WNSH (1570 Beverly) appears to have flipped formats; instead of the talk format the station has been airing in recent years (albeit with some sudden shifts in schedule in recent weeks), it's now simulcasting Costa-Eagle's Spanish tropical "Power 800" WNNW (800 Lawrence), bringing that programming to more of the Boston area, at least during the day when WNSH is on its 30 kW signal. The contemporary Christian programming that had been heard on Sundays on WNSH has moved to a webstream. Out on Cape Cod, WCIB (101.9 Falmouth) has gone all-Christmas, a move the station didn't make in recent years. 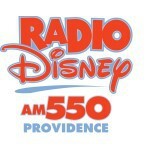 *There's a buyer for silent WDDZ (550) in Pawtucket, RHODE ISLAND, and Salem's $550,000 purchase of the former Radio Disney outlet will reunite the Providence-market signal with a Boston AM that was briefly a sister station a decade and a half ago. It was back in 1994 when Peter Ottmar's Back Bay Broadcasting picked up both the 590 facility in Boston that had been WEEI, flipping it to business talk as WBNW; a year later, Ottmar bought 550 in Pawtucket (ex-WICE), turning it into WPNW, a simulcast of the Boston station. The 550/590 simulcast lasted less than two years; by 1997, Salem had acquired 590 in Boston, flipping it to religion as WEZE, while the Rhode Island station went to standards under the WLKW calls. Now the 550/590 pairing will return, with 550 (under new, as-yet-unannounced calls) largely simulcasting Salem's WEZE feed from Boston. *The new Catholic station in Pawcatuck, CONNECTICUT, across the river from Westerly, R.I., now has calls: mark down "WHNM" for the new 89.5 licensed to the Academy of St. Therese. TOWER SITE CALENDAR 2011 - IT'S HERE! The production process was a little more complex than usual for Tower Site Calendar 2011, but at long last we're shipping the tenth installment in what's become an annual radio tradition. The new calendar is now back from the printer, complete with more than a dozen exciting new images including that nifty cover shot of Mount Beacon, N.Y.
And if you order now, you'll have the 2010 calendar in your hands long before the holiday rush! But wait - there's more! We now have a small supply of the new FM Atlas, 21st edition, as well as a limited supply of Tower Site Calendar 2010 as well - plus the signed, limited-edition version of the 2011 calendar and much more in the fybush.com store! Order now at the fybush.com Store! *In upstate NEW YORK, Geneva's WFLK (101.7) is changing hands. Russ Kimble's MB Communications is selling country "K-101.7" to the Finger Lakes Radio Group, owned by Kimble's brother George and Alan Bishop. The $450,000 deal will bring WFLK into the Radio Group's extensive cluster of stations across the Finger Lakes, creating a near-monopoly along the Routes 5 & 20 corridor that will include Geneva-based talker WGVA (1240), AC WNYR (98.5 Waterloo), classic rock WLLW (99.3 Seneca Falls) and additional AM signals with FM translators in Canandaigua, Auburn and Dundee. But the transaction is completely kosher under the FCC's ownership rules - Geneva is in Ontario County, which is part of the much larger Rochester radio market, while Seneca County-licensed WNYR and WLLW don't count as Rochester stations for ownership-cap purposes. On November 29, Finger Lakes Radio Group will take over under an LMA and WFLK will move across 5 & 20 from its current Hamilton Plaza studios to the WGVA studio/transmitter facility on Lenox Road - and therein lies a bit of irony, since this will be the second time 1240 and 101.7 have been co-owned at that location. Back in the early 1990s, a company called Eastco bought both 101.7 (then WECQ) and WGVA, combining them at the WGVA facility and closing the original WECQ studios next to the FM tower site on West Washington Street. It's a testament to the decline in station values that Eastco paid $1.2 million back then. More Christmas-music converts: in the Watertown market, WTOJ (103.1 Carthage) flipped a week ago, and in Buffalo, WHLD (1270 Niagara Falls) spent all last week playing holiday tunes and old-time radio shows, but it's not a full-fledged flip. After their weeklong holiday festival, it's back to the standards today at "Swing 1270." Congratulations to Steve Cichon of WBEN (930 Buffalo) - the newsman and historian extraordinaire has been picked as part of this year's "40 Under Forty" class by Buffalo's Business First newspaper. Longtime Glens Falls morning man Bruce Matthews has died. Matthews spent more than 30 years on WWSC (1450); before that, he worked in St. Albans, Vermont and served as an Air Force radioman during the Korean War. Matthews died Oct. 22, at age 76. *Moving downstate, CBS Radio's WINS (1010 New York) is making some changes to its morning and afternoon anchor lineup. Instead of rotating three anchors in 20-minute blocks, it's half-hour shifts for Lee Harris (at the top of the hour) and Judy DeAngelis (at :30 past), beginning this morning. Brian Carey, who'd also been in mornings, will move to the top of the hour in afternoon drive with Lori Madden at :30 past. On TV, there's more programming coming to city-owned WNYE-DT (Channel 25/RF 24). In addition to the "nyc-tv" schedule airing on 25.1, WNYE is now carrying "nyc.gov" city government programming on 25.2, and will add the City University of New York's CUNY-TV on 25.3 in the spring. Both channels had previously been available only to cable subscribers. *WBGO (88.3 Newark)'s plans to move its transmitter from NEW JERSEY across the Hudson to Manhattan got a big boost last week when the Prudential Foundation gave the jazz station a $500,000 challenge grant to help pay for the move. The grant is the largest in WBGO's history since the station went independent of its former ownership, the Newark public schools, in the late seventies. It's designed as seed money to launch a $3 million, two-year fundraising campaign to fully cover the cost of the planned relocation to Four Times Square, a move that will significantly strengthen Jazz 88's reach over New York City. "Its an opportunity for WBGO to grow in a way thats productive for the station, the art form they represent, and for Newark," said Prudential Foundation president Gabriella Morris. *The return of WA2XMN (42.8 mcs), the Armstrong memorial station in Alpine, was more than just a temporary event earlier this month. Steve Hemphill checked in with NERW to let us know that he's planning more WA2XMN broadcasts in the near future, especially now that Columbia University is taking an active interest in the Major's legacy there. Steve says the November 6th broadcast included a visit from Jennifer Comins, the Columbia University archivist who is presently researching all of the Armstrong papers in the university's library collection. "She is helping to bring all of the Major's history out in the open, so it will be more accessible to both the general public and independent researchers," Hemphill says. The November 6 broadcast drew reception reports from more than 100 miles away, and they'll be getting the QSL card shown here. FOUNDCUTS -- The ultimate weekly 3-hour musical journey spotlights those "oh wow" hits you don't hear anymore from the 80s and beyond. Contact us to see if Foundcuts is available in your market now. E-mail Dave at foundcuts@gmail.com for a demo. DO IT RIGHT PRODUCTIONS -- Visit our Web site, doitrightproductions.net, to hear our three syndicated shows, Classic Clips, Country Roots and Gospel Doings, produced by longtime country and bluegrass lovers. We also provide demo and duplicating services. Contact Roland (Bruce) Cutler, PO Box 351, Lyons, NY 14489; or dirp650@verizon.net. FM GEAR NEEDED -- Seeking two-bay low-power FM antennas (Jampro, PSI, Dielectric or others) at 96.5. Also looking for 1 kW FM transmitter, tube type OK. We pay shipping. Contact Allen, dba Alleo, alleo21@yahoo.com or 770-300-9287 (8 AM-9 PM). You can have your ad here, for just a few dollars a week! Click here for information on the most economical way to reach tens of thousands of Northeast radio and TV people each week. *In western PENNSYLVANIA, we're learning more about the impending sale of Pittsburgh's WQEX (Channel 16) to ion Media. As we told you in a late update to last week's column, WQEX owner WQED struck a $3 million deal to sell the channel 16 facility to ion, which has been seeking a Steel City affiliate ever since its Pax Network days. The new calls on channel 16 will be "WINP," which you'd think might stand for "IoN Pittsburgh," but which will reportedly mean "Winning Pittsburgh Over." As the first major ion acquisition since the transition from Pax, this will be the first of ion's stations not to have "PX" in the calls. *In the Susquehanna Valley, there's a new jock lineup at WWBE (98.3 Mifflinburg) and its "B98.3" country simulcasts: Shelly Marx is Mark Roberts' new morning co-host, Todd Steward moves from afternoons to replace Marx in middays, and PD RJ Jordan is now being heard in afternoon drive. A format change that slipped past us a few weeks back: as of early October, the Family Life Network (based at WCIK in Bath, N.Y.) has extended its reach down to Altoona, via an LMA of WHPA (93.5 Gallitzin) from new owner Radio Partners LLP. In Philadelphia, veteran Channel 3 announcer Gary Geers has died. Geers joined then-WPTZ back in 1951 after brief stints at WCAU and WFIL, and he stayed with the station through several changes of callsign (WRCV and then KYW-TV) and ownership, doing an agriculture program, and a Sunday-morning public affairs show and eventually adding early-morning weather to his duties there. Geers retired in 1994; he died Nov. 10 of lung cancer in Sun City Center, Florida at age 84. And we remember Tom Dooley, who was part of the legendary airstaff at the "Famous 56," WFIL, in the early 1970s. Dooley also worked at WCBS-FM (101.1) in New York, WAKY in Louisville and KHJ in Los Angeles before ending up in Dallas at KVIL; he became a born-again Christian in 1977 and had been working in Christian radio ever since, including hosting a syndicated show called "The Journey." Dooley was diagnosed with brain cancer in March; he died Tuesday (Nov. 9) at 63. And if you're an engineer - especially on the TV side of things - there's a very good chance you've been in the audience for Larry Bloomfield's traveling "Taste of NAB" roadshow, which has been making the late-summer rounds of our region, and the rest of America, for over a decade. (We last saw him here in Rochester two years ago.) Larry was never in great health, and we're sorry to report that he suffered a fatal heart attack last week at his Oregon home. He was 72. *This week's news from CANADA starts in London, Ontario, where changes at Astral's cluster (CJBK, CJBX, CKSL and EZ Rock 97.5) include the departure of veteran operations manager Barry Smith and chief engineer Bill Tofflemire. Replacing Barry Smith as operations manager is Al Smith, who'd been operations manager at CTV's Ottawa radio stations. Meanwhile in Ottawa, veteran jock Steve Kennedy shifts from mornings on the new "EZ Rock 99.7" (CJOT) to afternoons on CKIS (105.3 KISS FM), starting Dec. 13. CKIS music director Jeff Graham will move from afternoons to middays. The CRTC has approved a frequency change for the CBC's Radio One relay in Brockville, Ontario. CBOB was to have been built on 106.5, but Nav Canada was concerned about the possibility of interference to aviation radio, so instead the new signal will be at 91.9. That, in turn, prompted a complaint from CKVI (91.9) in Kingston; the CBC says it will assist with remediating any interference caused to reception of that high school station. *And in Niagara Falls, they're mourning Mike Ryan, who was on the air at CKEY (101.1) and CFLZ (The River 105.1) for 13 years until departing last year, including a stint as PD of CFLZ. Ryan lived across the border in Buffalo, where he'd been working in debt collection; he suffered a heart attack at his home there last Monday (Nov. 8). He was just 45. Yup, we've been doing this a long time now, and so we're digging back into the vaults for a look at what NERW was covering one, five, ten and - where available - fifteen years ago this week, or thereabouts. Note that the column appeared on an erratic schedule in its earliest years as "New England Radio Watch," and didn't go to a regular weekly schedule until 1997. Out on Long Island, another obstacle to the impending sale of Long Island University's WLIU (88.3 Southampton) has been cleared away with the signing of a consent decree that settles allegations that WLIU and sister station WCWP (88.1 Brookville) ran afoul of the FCC's underwriting rules for noncommercial stations. Under the agreement, LIU will make a "voluntary" contribution of $24,000 to the feds, and the investigation into the violations will be dropped, allowing the sale to Peconic Public Broadcasting to move ahead. In other news from the Capital District, talker WGDJ (1300 Rensselaer) has applied for a license to cover its power increase, jumping from 5 kW day and night to 10 kW days, 8 kW nights. And its talk competitor, Pamal's WROW (590 Albany), has signed on with Kansas-based Virtual News Center to produce "local" news reports. Are they ready to handle "Schaghticoke," "Schoharie" and "Watervliet"? In Niagara County, Lockport Community Television is moving forward with its construction permit for WLNF (90.5 Rapids). It's working with the Rapids Fire Company to get zoning approval for a 100-foot self-supporting tower behind the fire hall on Plank Road, which would be shared by the fire department and the radio station. WLNF would run 250 watts from the top of the tower, carrying simulcasts of LCTV programming and eventually adding radio-only programs. Burlington's WCAX-TV (Channel 3) eulogized former chief engineer Ted Teffner as a "towering figure" in VERMONT broadcasting after his sudden death last week, and it's hard to argue with that description. Until his retirement not long ago, Teffner was the guiding force behind the massive reconstruction project that transformed WCAX's 1950s-vintage transmitter site atop Mount Mansfield into a 21st-century DTV site shared by most of Burlington's TV broadcasters (and several FMs, too), and it's hard to think of anyone more universally admired in the state's engineering community. Teffner had recently retired to Florida, where he died Thursday at age 69. Funeral arrangements are not yet complete. Country music has once again vanished from the airwaves in CANADA's biggest market. On Friday afternoon at 3, Corus abruptly pulled the plug on "Country 95.3" (CING-FM), the Hamilton-licensed signal that was also supplying the much larger Toronto market next door with its Taylor Swift and Tim McGraw fix. After seven years of country, 95.3 is now playing classic hits, calling itself simply "The New 95.3" - and while it helps to fill the gap left behind when CHUM (1050) flipped from oldies to a CP24 TV simulcast earlier this year, the move leaves country fans seeking out some rimshot signals for their format. From the east side of the Greater Toronto Area, there's CJKX (95.9 Ajax), "96KX," with a signal that reaches much of the city and its eastern and northern suburbs (and even across the lake here in Rochester when the winds are blowing the right way); for listeners in 95.3's hometown of Hamilton, there's at least a rimshot signal from CIKZ (106.7) over in Kitchener-Waterloo. So far, there's no word from Corus about an airstaff for "The New 95.3." If you'd cornered us a year ago and asked us to place a bet that WKOX (1200 Framingham) would ever be able to build its new directional array at the WUNR (1600 Brookline) site in Newton's Oak Hill neighborhood, we'd have declined. At the time, it didn't appear that the local political climate would ever allow Clear Channel to follow through with its plan to replace WUNR's existing pair of towers (each 350 feet tall) with five 199-foot unpainted, unlit towers to be used by WKOX (with 50 kW), WUNR (with 20 kW) and WRCA (1330 Watertown, moved from Waltham) with 25 kW day, 17 kW night. Things change, though, especially when you have a patient plaintiff with deep pockets and a very good case to make against the city of Newton - and so it came to pass that the city and the stations finally reached a settlement last week (thanks to Mark at Boston Radio Watch for sniffing that out!) that could lead to construction getting underway at the site as early as the end of this week. The settlement, which is due to be approved by Newton's Board of Aldermen on Wednesday, would establish a $100,000 remediation fund to help neighbors near the site deal with increased RF levels after the towers are built and the stations have been on the air for three years. (In the first three years that stations are operating with their new facilities, the stations themselves will be required to assist neighbors within the blanketing zone with RF-related issues, which is not much more than the FCC requires, anyway.) The settlement also limits what the stations can do at the site in the future without city approval - no power increases, and no adding wireless services to the towers, either. In sum, though, it seems to represent a pretty convincing win for the stations - especially for WKOX, which will get a decent Boston signal out of the deal. We'll be following this story closely as construction gets underway. Elsewhere in MASSACHUSETTS, Gary LaPierre returns to WBZ (1030)'s morning drive today, a month and a half after he suffered a heart attack. On the FM side, Paul "Neanderpol" Marshall is out as afternoon jock at WAAF (107.3 Westborough), but he didn't stay on the beach long enough to get sand between his toes. He's now over at WBCN (104.1 Boston), where he'll fill a yet-to-be-announced shift. Heading west, Vox has modified its application to move WBEC-FM (105.5 Pittsfield) to Easthampton, in the Springfield market. WBEC-FM has now applied to operate its new signal from the top of Mount Tom, the highest broadcast site in the area, with 720 watts into a directional antenna at 1237 feet above average terrain, a facility that would put a more-than-decent signal over Springfield. Up in MAINE, Bud Sawyer is out at Nassau's WLAM, Lewiston (1470) after a very long career that's included long stints at WPOR in Portland and at earlier incarnations of WLAM. The station's flipping to ESPN sports from standards at the end of the month, it seems. VERMONT is getting a new TV newscast. WFFF (Channel 44) in Burlington is advertising for a news director as it prepares to launch a 10 PM newscast; we'd guess that once that's up and running, WFFF will eventually be producing some sort of news product for ABC quasi-sister station WVNY (Channel 22) as well. In RHODE ISLAND, David Bernstein is out of a job as WPRO (630 Providence) program director. Bernstein came to WPRO in May 2003 after stints programming WOR and WBZ; he's now back home in New Jersey (where he had been commuting to Providence), and no replacement has been named yet in Providence. More management shakeups in NEW YORK: WOR (710 New York) has sent PD Maurice Tunick packing, and the position won't be filled. Instead, GM Bob Bruno will handle programming duties. In NEW JERSEY, Press Communications' WKOE (106.3 Ocean City) is making an Atlantic City move. It's been granted FCC permission to change city of license to Bass River Township, and to change frequency to 106.5, which will reduce interference from WJJZ (106.1 Philadelphia) and from sister station WHTG (106.3 Eatontown). Our news this week begins here at home in upstate NEW YORK, where Entercom flipped formats on three out of its four Rochester stations while most of us were busy paying more attention to voter turnout Tuesday. That evening at 5, classic hits "The River" WQRV (93.3 Avon) and adult standards WEZO (950 Rochester) were replaced by a simulcast of the oldies format from sister station WBBF (98.9 Rochester). Twenty-four hours later, WBBF's oldies moved for good to the 93.3/950 simulcast, as 98.9 flipped to this week's most popular new format nationwide, 80s oldies. "The Buzz" is the new nickname for the station once known as WHFM, WZKC, and WKLX, and we're pleased to say we heard Moving Pictures' "What About Me" no less than four times in the new station's first few days. A new PD and airstaff for 98.9 is on the way, we hear, and in the meantime "93BBF" launches the new Tom George morning show on Monday (11/13). Still to come are new calls for 98.9, which we're told will be WBZA (does that have a ring to it, or what? ), with the WBBF calls moving to 950 and 93.3. What's more, we hear 93.3 will be looking to make a signal upgrade, changing city of license to one of those east-side "P" towns, and tower location to the WBEE (92.5) tower on Five Mile Line Road in Penfield, thus bringing that stick full circle to its earliest days as WBBF-FM, almost 40 years ago. As for fans of the adult standards once heard on 950, they're being directed just up the dial to Crawford's "Legends 990", WLGZ, which has already claimed about half of 950's audience anyway. 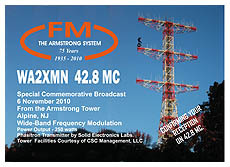 Remaining in Rochester for just a moment, WXXI has again been denied a chance to simulcast its AM 1370 signal on FM. The FCC denied the public station's petition to reconsider its denial of WXXI's 1997 application for 90.9 in Spencerport, third-adjacent to the WXXI-FM signal on 91.5 from Pinnacle Hill. No word yet on what WXXI might try next to improve its west-side signal from the AM station, whose null towards Toledo's WSPD makes it hard to hear out there after dark. Over in Albany, we hear Clear Channel will add "Valentine in the Morning," voicetracked the night before in Los Angeles at KIIS (102.7), to its "Kiss" CHR outlet there, WKKF (102.3 Ballston Spa). Valentine seems to be on the way to becoming a staple at the Kiss clones nationwide, for whatever that's worth...he's already heard here in Rochester on WKGS (106.7 Irondequoit). Over at WKKF's competition, WFLY (92.3 Troy), they're looking for a new night jock now that Joey Kidd has headed to Boston and nights at WQSX (93.7 Lawrence). Looking for country on Long Island? You'll have to look a little harder, at least around Smithtown: Barnstable flipped WMJC (94.3) from country to rock AC this week as "Island 94.3." Up in VERMONT, Clear Channel is expanding in the state with a buyout of Excalibur's five stations. At the core of the deal are talk WSYB (1380) and CHR WZRT (97.1) in Rutland, which Excalibur partner Joel Hartstone acquired for $5.5 million back in 1989 as "H&D Broadcasting." Since then, Hartstone, Marty Beck, and Jim Champlin have added oldies WLCQ (92.1 Port Henry NY) and country simulcast WWWT (1320) and WCVR (102.1) in Randolph. Clear Channel's purchase price: a reported $5.8 million. Clear Channel also owns WEZF (92.9), WXPS (96.7 Willsboro NY), WEAV (960 Plattsburgh NY), and WCPV (101.3 Essex NY) in the Plattsburgh market. Down in Bennington, WBTN (1370) has dumped its Vermont Public Radio simulcast in preparation for a return to local full-service programming. One of central MASSACHUSETTS' oldest stations is being sold. WEIM (1280 Fitchburg) will go to LiveAir, headed by David M. Wang, after 13 years under Frank Fillipone's ownership. Wang tells the Worcester Telegram & Gazette he intends to keep the local flavor at WEIM, now the last remaining full-service station in northern Worcester County. No word yet on a purchase price. A bit to the south, WORC (1310 Worcester) and WGFP (940 Webster) are shifting focus a bit, ditching "Extreme Talk" for "Real Talk" under new PD Jay Bailey. He's reunited with former WXLO colleagues John Taylor and Roger X for "Worcester's Original Morning Show," which is followed by Phil Hendrie, Ed Tyll, and Don and Mike. WRCA (1330 Waltham) has submitted its application for 17 kW nighttime operation from the WUNR facility on Saw Mill Brook Road in Newton's Oak Hill neighborhood. in Cambridge). The last 88.3 CP in Nashua expired earlier this year...it had been for a religious operation. As noted last month, NHPR's plan is to make the existing station, WEVO 89.1 Concord, news and talk, and move the classical music to the new outlet. A new CP in Boston: modern-rocker WFNX 101.7 Lynn has been granted its application for a 3-watt translator on Boston's John Hancock Tower. The 101.3 translator will be called W267AI, and should fill in some of WFNX's signal problems in the parts of Boston where their target audience of college students live. No word on when it will make it to the airwaves. And some late-breaking news from Southern New England: Liberty Broadcasting has been sold to Robert F.X. Sillerman's SFX Broadcasting, which is in turn spinning off Liberty's New England operations to Multi-Market Broadcasting (isn't that Cousin Brucie's company?) The stations involved are WHJJ (920; news-talk), WHJY (94.1; AOR), and WSNE (93.3; ac) in the Providence market and WPOP (1410; news-talk), WMRQ (104.1; modern rock), and WHCN (105.9; AOR) in the Hartford market, along with WTRY/WPYX/WGNA AM-FM in the Albany market and a station in Richmond VA. SFX keeps Liberty's stations in the Washington DC area (WHFS, WXTR/WXVR, WQSI) and on Long Island (WBAB/WHFM, WGBB, WBLI). NorthEast Radio Watch is made possible by the generous contributions of our regular readers. If you enjoy NERW, please click here to learn how you can help make continued publication possible. NERW is copyright 2010 by Scott Fybush.